Bloch is a rather unfashionable composer but I think his music is great. It varies from the more biblical Hollywood epic type scores (which I like) including "Israel Symphony" "Voice in the Wilderness" "Sacred Service" to the more intimate string quartets and fine piano quintets, not to mention his most popular works "Schelomo" and the Violin Concerto. At times he even reminds me of Vaughan Williams (passages of the Sacred Service). There is also a fine Chandos CD of the epic "Concerto Symphonique" for piano and orchestra which I strongly recommend with the string quartets (1-4 are on Decca with the great Griller String Quartet). Have you heard his three-movement piano work, Poems of the Sea? Yes, it is v good. I have both the piano and orchestral versions. 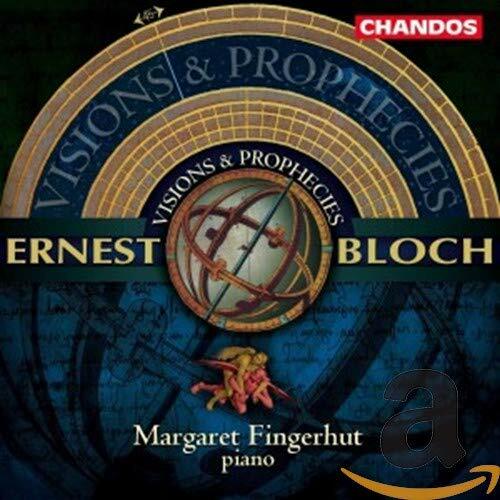 I like "Visions and Prophecies" piano version of "Voice in the Wilderness" on Chandos. Do you know it? Not much in my collection from this composer but this one is recent. Bloch and Honegger are two of my favourite composers. "Liturgique Symphony" by Honegger is a great, powerfully visionary score. Those two pieces are both wonderful Harry. The Bloch is standard Cello repertoire and is probably the most stormily emotional and dramatic romantic work in the repertory. Think the drama of the opening of the Elgar concerto, but all the way through! Its funny about Bloch, and his occasional passages of 'Englishness'. Probably to do with the modality, but he was held in high regard by a fair few early 20th century English composers. The three cello suites from the final year of his life are often overlooked, but all are extremely beautiful and worthwhile. The first is my personal favourite, and I don;t understand why they haven't made it into the standard reperotire. His three pieces fro Jewish life definitely are though (Prayer, Supplication and Jewish Song). No, I don't, but perhaps I'll check it out. His three pieces fro Jewish life definitely are though (Prayer, Supplication and Jewish Song). I've got quite a lot of Bloch, especially his chamber music. Not quite sure why, as to be honest I don't listen to it all that much, though when I do I like it quite a bit. However, his Piano Quintets are powerful works, among the very best things in that genre. Unfortunately my computer can't play the file but thanks anyway. I have a nice Bloch CD with Poems of the Sea (Orchestral version), violin Concerto and Voice in the Wilderness (Cappricio label). I agree that the Cello Suites, Violin Sonatas are fine works. I don't think that there has been a Bloch thread. He is a very unfashionable composer now but was highly regarded in his day. There are some good Naxos releases but the one I wanted to mention was the Goldner String Quartet and Piers Lane performing the two piano quintets and other chamber works on Hyperion: a wonderful disc. The epic Piano Quintet No 1 is well worth getting to know if you don't know it. Bloch writes in a tonal but very searching 20th century idiom. I rank him with Vaughan Williams, as a very great composer who deserves to be much better known. Are there any recordings of his complete string quartets? There is a very fine Decca Oriinal Masters CD of string quartets 1-4 (he wrote 5) played by the Griller Quartet. They recorded them before Bloch wrote No 5 but there are other recordings of it. String Quartet No 1 is one of Bloch's finest utterances, lasting almost one hour. I strongly recommend this set. The Pro Arte Quartet recorded them all for Laurel Records, and these are all currently in print. I ordered them directly from Laurel Records. Oddly, the recording of 5 seems to be in mono, at least to my ears. I guess they recorded it that way live and decided to wax it as is. I should add that otherwise the production quality is very high. Yes, I knew about that recording, but I was looking for one with all 5. How is the sound on this set? They are mono recordings from 1954 but very effectively remastered. I love that set, and the sound's fine. The Griller set is one of the absolute essential string quartet sets and Blochs 1st quartet is a staggering work. The Griller set is one of the absolute essential string quartet sets and Blochs 1sr quartet is a staggering work. I have always loved Bloch's rich, dramatic and colourful music. Much in the same way as I love the music of Respighi in fact. There are a number of different sides to Bloch-the romantic Swiss composer, influenced by turn of the century developments in Germany and France and indebted to Richard Strauss(the early Symphony in C sharp minor-available in a BIS recording), the Jewish composer who produced stirringly passionate compositions like Schelomo, the Israel Symphony, the Symphonic Poem The Voice in the Wilderness, the Violin Concerto and the Sacred Service, the ersatz Hollywood epic film composer, the adopted American(the extraordinary Rhapsody 'America') and the later neo-classical composer(the Sinfonia Breve, the Symphony in E flat major, the Concerto Symphonique for piano, the Concerto Grosso No.2). All of his music however is never less than enjoyable on a very emotional level. He is, in my opinion, seldom dull. I don't find his idiom 'challenging' at all, I have to say. I suppose that one of the difficulties is where to place Bloch geographically. Although he spent more than half of his life in his native Switzerland he did leave his homeland at the age of 37 and only returned for 8 years in the 1930s. He spent 33 years in the USA(including the last 21 years of his life), became an American citizen in 1924 and the distinguished Director of the Cleveland Institute of Music. You are right Colin. He is difficult to place. I have just listened to a fine new recording of his epic, immediate post WW2, "Concerto Symphonique" with Jenny Lin as the soloist with the SWR Rundfunkorchester Kaiserlautern conducted by Jiri Starek (hanssler CD) it also has the fine Scherzo Fantasque and Concerto Grosso No 1. There is a great newish Naxos CD with the "Four Episodes", "Two Poems" etc with Dalia Atlas conducting (he ASV recording are excellent, including the best version of the "Israel Symphony". The early Symphony in C is a favourite of mine. The comparison with Respighi is spot on. Yes, I know the various ASV recordings conducted by Dalia Atlas and the recent Naxos disc to which your refer. She has done a great job for Bloch's music on CD! Regarding the Concerto Symphonique-I bought the Chandos version, also coupled with the Scherzo Fantasque and the two early symphonic poems 'Hiver' and 'Printemps'. The piano works are played by Halida Dinova accompanied by the Symphony Orchestra of the State Academic Cappella of St.Petersburg. Do you know that version? Should I have waited? Oh and..in retrospect I think that I should probably have placed the Concerto Symphonique more amongst Bloch's large romantic pieces rather than the neo-classical ones! His Solo cello Suites are one of the most overlooked corners of this repertoire. All three are good, but the first and third (I prefer the first) stand out especially. Extremely moving works composed in the final year of his life all for Zara Nelsova who sadly never recorded them (sadly because her Schelomo is the recording - Like DuPre's Elgar). Luckily there have been other cellists ho have recorded them, the finest being Emmanuel Bertrand - she is absolutely sublime and especially excels at solo repertoire - see her CD of Dutilleux, Ligeti and Crumb too - maybe the single finest CD I have of solo cello music (excepting Bach). Do you know Zara Nelsova's version of the Barber Cello Concerto with the composer conducting the New Symphony Orchestra of London? it is coupled with the Symphony No.2 on an old LP in my collection. Belated reply to this Colin! I have an old Decca Eclipse LP with the Barber Cello Concerto (Nelsova) coupled with Rawsthorne's Second Piano Concerto! A bizarre coupling but it was a great favourite Decca Eclipse disc (probably the label I owe most to for my discovery of classical music as I could just about afford the occasional LP as a schoolboy). Yes I do know that recording and I don't like it one bit. Zara simplified several passages of this extraordinarily difficult work, obviously with Barber's permission, but they are some of my favourite ones. Also, as great as she was, Zara really doesn't sound in control here - the outer movements are taken too fast for her and the music IMO - Barber I think had become paranoid because Garbousova had often played it rather slowly and he always asked her for it to be faster. This is one of my favourite works of all time, so I am going to have strong opinions about it, but of the 12 versions I own I think Wendy Warner on Naxos is head and shoulders above the rest. She's championed the piece and probably played it more than anyone else - never before has it made so much sense, or been presented so strongly as the masterpiece it so obviously is - it's a fantastic achievement. To get back on the topic of Bloch - Zara's recording of that piece with Bloch at the reigns is a desert island recording for me - she seems as strongly allied to this work as DuPre was with the Elgar. I'm not overstating this. As Bloch said: "Zara is my music!" It (Nelsova) was my introduction to Barber's Cello Concerto on LP so I still have a soft spot for it. I must listen to the Naxos version which I own. I think that it is one of their best with the Medea Dance on the same CD. Yes I agree - a great CD. I like most of them in that Naxos range of Barber's music - the exceptions are the violin concerto and piano concerto - No one is going to beat Takezawa in the former, and especially not John Browning in the latter. Also I much prefer John Browning's playing of the solo piano music to the Naxos guy. Naxos have my favourite recording of that wonderful piece - the Capricorn concerto and the equally wonderful A hand of Bridge (both on the same CD) and actually the finest Knoxville too. Sorry that this is so off topic! I played his "Avodath Hakodesh" (Sacred Service) once and found it a very interesting piece. There are surprisingly few recordings of it though. I'm only familiar with his violin sonatas but, even so, I have to agree with this assessment. 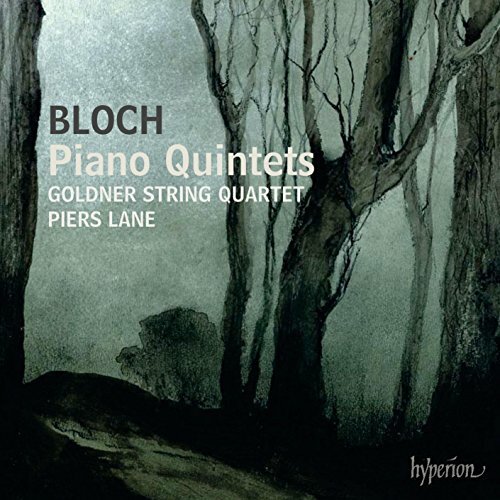 The piano quintets will probably be my next Bloch purchase. Some more recording recommendations here would be quite helpful. It is indeed, as you say, an interesting and, I think, moving work! I have the Chandos version conducted by Geoffrey Simon(CHAN 10288 X) but I know that Bloch himself conducted a recorded version and Leonard Bernstein's version is highly acclaimed. it is one of my favourite works. Very moving, not unlike a Hollywood biblical film score in places but also with echoes of Vaughan Williams's choral works. Bloch and Simon's recordings are my favourites, Simon's recently reissued on Chandos. I seem to remember reading somewhere that one version of the 'Sacred Service'-either Simon's or Bernstein's-was cut? Is that the case, Jeffrey? If so...which version is it? Do you recall? Not aware of this Colin. I apologise! I did not get this right. The Bernstein version(from 1958 on Sony) includes the spoken Kaddish at the conclusion of the work. The reviewer thought that this would be a "drawback" for repeated listening. Of course, since he created that "biblical sound" that many film composers in the 50s and 60s adapted. John Williams also lifted chunks from this for "Raiders of the Lost Ark". I remember when we rehearsed it for the first time, the section entitled "Taking the Scroll from the Ark" came up and we joked "from the Lost Ark, haha", and then when we played through the music, it wasn't "haha" anymore, it was "aha!". Very interesting. Who were the "we" who rehearsed it? That was with the LaJolla Symphony, about two years ago. The performance was conducted by then music director Harvey Sollberger. You know the Lojolla sinfonietta by Martinu? It was the work that got me interested i Martinu once upon a time. Thanks. What instrument do you play? I never heard of that. Is there a connection to the city of La Jolla? Commisioned by the Musical Arts Society, La Jolla in 1950, who also (allegedly) recorded it. This info is quoted from a Supraphon LP sleeve I have. And the name is Sinfonietta La Jolla, got my fingers mixed up in my first post. I have been listening again to Bloch's epic 51 minute String Quartet No 1 - a truly great score in my opinion. I wonder if anyone else thinks as highly of it as I do. ps this is the last of my old threads that I will be reviving today! I do. In a post on a Norwegian site I listed this among "10 great quartets you didn't know you needed", to quote my thread title. Definitely one of the supremely great quartets of the last century. I'd be very interested to hear the others too! Shostakovich nr 13 op 138. Britten nr 3 op 94. Cheers! Lots of these are very mainstream, standard fair though (don't know the last two - will look them out). Yes - my idea was to present 5 (it was a long post) reasonably wellknown and 5 less well known quartets. Thanks for reminding me of this, it's been awhile since I've heard it. It really is a masterpiece! How many great 50min quartets ARE there? This quartet (1916) made a great impression on me. The Piano Qnt, the Violin Sonatas, Viola suite1919...everything he did 1916-24 all has that mystical searching quality. Bloch truly had "phases." I have been sloughing towards trading in the Portland for the Griller. Both the Arabesque and Laurel recordings have reportedly not the best acoustics, terrible for such "big" music. There is something very dour indeed about qrts 4-5...I listen to them a lot trying to figure out why I don't like them,...huh? No.4 comes the closest to a Shosty-ish-ness for me....maybe good to play with some Rosenberg? I think, IMHO haha, it's generally noted that Bloch's later, slightly harder/drier chamber style lacked the searing mysterical intensity of the 20s (think P Qnt No.2). The solo violin and viola suites not so much, but looking forward to the cello suites. Still, what are some "brothers" to Bloch's qrt No.1? Magnard, Schmitt Qnt, Schoenberg Op7 ??? Ives No.2? I mean, is the longest quartet up to that time? or what? Sorry to be off-topic but Van Dieren 1 and Skalkottas 4 would be candidates. Robert Simpson also produced a couple of particularly outlandish ones. Is Van Dieren from before 1919? I don't recall Skalkottas No4 being that long (on BIS???). And I guess that's the Simpson No9?? ?-the palindromic/Haydn quartet...but I don't remember any of his others stretching THAT far. Schoenberg No.1 Op7 comes galloping in around 45min. Van Dieren 1 is from 1912. Skalkottas 4 comes in at about 38 minutes in the BIS recording by the New Hellenic Quartet. This recording is a remarkable achievement: apart from anything else, the ambitious tempi do approach those asked for by the composer. This may not be an important approach for some, but with Skalkottas, it really does make a difference. Those familiar with Nikolaos Samaltanos' recording of the32 piano pieces would probably agree. Anyway . . . back to Bloch. Schelomo w/ Fournier on a great bargain disc, combined w/ Dvorak's Cello Concerto & Bruch's Kol Nidrei. Piano Quintet & SQ on the Laurel label mentioned previously - own a couple more discs, but that's about all! The longest quartet I know before Feldman's mammoths is, surprisingly, perhaps, Dvorak, his first. It's over 72 minutes long on the recording I have. This disc (different covers, but the same versions) contains a nice couple of works by Bloch in fine performances. The VC is atmospheric, and on first listen (thanks to the large opening movement) can feel a little gargantuan. It encourages comparison with the imagery of the 1950s Hollywood historical epics with its noticably "exotic" sound, but is a little more esoteric than the soundtracks by Rosza, etc, with an interesting inner logic rather than simply surface effect. Baal Shem is more managable and a nice little piece. The two bonus Serebrier pieces are in a more modern/gloomy idiom, but neither too stylistically extreme or inaccessable. Dvorak, his first. It's over 72 minutes long on the recording I have. Bloch went through so many compositional phases and styles that investigating him widely is exciting - or full of disappointments - depending on where you come from. I believe it sounds like early Roussel. Just wanted to reinforce several of the posters' complimentary remarks about Bloch. He's one of my favorites. His works are indeed powerful, quite modal, visionary if not prophetic, like the Old Testament. I believe much of his orchestral "language" initially derived from the French school. Of course he's gone his own way. The "Concerto Symphonic" is a masterpiece.He's composed many fine, sutle, complex symphonic "imagery." Yes, totally agree with you, especially about the 'Concerto Symphonique'. The String Quartet No 1 and Piano Quintet No 1 are both masterpieces IMHO. I've enjoyed all of these discs (several will replace previous ones in my collection) - but I must say that the 'older ones' have been absolute 'knockouts'! - the Howard Hanson recordings on 'Mercury Living Presence' are just phenomenal; I own a number of these Mercury recordings - these were done on wide multi-tapes (1/2 inch 3-track tapes mentioned in the liner notes) which 'captured' the dynamic range of the recordings but could not be faithfully reproduced @ the time on a LP (recordings dates from 1959-60); plus, the price is a steal - can't see how one would be displeased, if desiring these works by Bloch. Yes, I have the score and dabble with it. Included in this sheet music is the "Sonata For Piano." I love the second movement. I also have several recordings of the "Sonata." (Fingerhut on Chandos); Jensen on (Music & Arts); plus others. Several posts discuss Bloch's many works, including the masterpiece "Concerto Symphonque." Opinions vary on the pianistic quality. I tend to like the Micah Yul performance with the London Philharmonic on Laurel Record. If I am not mistaken Bloch was instrumental in starting up CIM, the Cleveland Institute of Music during the late 20's? Or early 30's? I live close by but have never actually attend any concerts there. I know so little of his life. Here is a CD of piano music by Bloch which I really like. The CD is titled 'Visions and Prophecies' and it features, amongst much else, a piano version of the part of the orchestral piece (for Cello and orch.) 'Voice in the Wilderness'. Does it work better in that incarnation? Though the piece contains lots of lovely ideas, the more 'bible epic' like moments really make me cringe and it just doesn't hang together as well as Schelomo. I've played sections of it with piano (and cello) and some it sounded much better like this, so I am intrigued by the solo piano version. I remember getting this and hearing it for the first time aged 13 and being incredibly excited at the new soundworlds that I heard in the Bloch (and even the Bruch to my naive mind!). Fournier's account is really superb. I have been listening to Bloch's early Symphony in C Sharp Minor, written when he was in his early twenties. It seems to shows the influence of Richard Strauss and also Mahler (whose music Bloch had apparently not heard at the time of composition). But it also foreshadows Bloch's later works. The last movement is especially powerful and moving and I like this work increasingly. There are recordings on BIS (top recommendation) and on Marco Polo (also good). It was performed a while back in London (Dalia Atlas) and I am annoyed to have missed it. Yes, I too like the early Symphony in C sharp minor-although it is the BIS version with the Malmo Symphony Orchestra under Lev Markiz that is in my collection(coupled with Schelomo played by Torleif Thedeen). The later Symphony in E flat(1954-55) is worth hearing too although it lacks the blazing romantic passion of early Bloch. 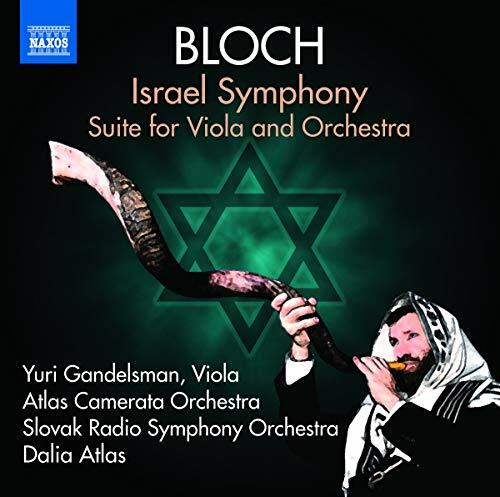 Both the Symphony in E flat and the Israel Symphony(1912-16) were recorded in the excellent ASV Bloch series. Yes, I wish that Dalia Atlas (who performed the work in London) would record the early Symphony in C sharp-minor as part of the ASV series. The BIS version is the best recording available at the moment. Depends. But I think they have stopped making new records anyways (which may mean they exist). Although there are many possible threads on recordings and performances, I nevertheless wanted to post a performance and recording of a long, revered staple of mine. 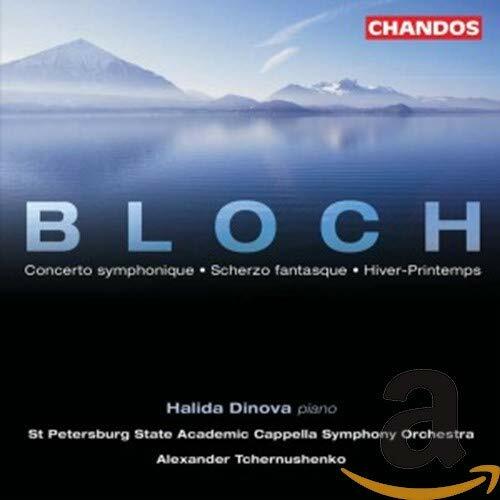 I was listenint to the Chandos CD involving several works of Ernest Bloch. All are superbly realized: the masterpiece "Concerto Symphonic" (1948); "Scherzo fantasque;" "Hiver Printemps." Alida Dinova is the pianist. Capella of St. Petersberg is the orchestral interpretation. I also have the Micah Yui performing the two pianistic works listed above. The Chandos is somewhat better; although both are marvelous recordings of the Bloch work; enthusiasts may well be aware of both recordings. Vast subject, recordings, to be sure; but I was smitten with the Chandos recording of three significant Bloch works. Bloch popped back up on the radar, so I have been going through my scrappy Bloch chamber works collection. There's a few "Complete Violin Works" sets out there. I have the oh so typically dry recordings from Arabesque (Weilerstein Duo). Personally, I find it difficult to listen to Bloch's violin music in this manner. I prefer to have Baal Shem over here, the Sonatas over there, and the rest, up in the air. Sometimes, I can't seem to see the visionary through the Hollywood, which is to say, I have to pick and choose which Bloch I listen to. But, don't get me wrong: the two Sonatas are monsters! Love em. General point: Bloch's Complete Violin Works run to 2 cds, generally with one of the piano pieces to fill out the proceedings. The Complete Viola Works run to one (1) cd length, but, for me, I don't need Baal Shem in every conceivable combo. The unfinished Solo Viola Suite makes no greater impression on me than the 2 Solo Violin Suites. Really, the only viola piece I really want to hear is the 1919 Suite, which I have on a great Crystal cd (w/Clarke & Hindemith (the "1919" cd)). That piece really is a great mate to the Violin Sonata No.1. I think the one piece is called From Jewish Life, and I don't recall if it's for cello and piece, or what. The other piece is the Meditation Hebraique, which is going for about $50 on the self titled Koch cd (on Amazon). Then, there will be the obligatory Baal Shem transcription, and maybe a Suite Hebraique transcription (maybe also on the viola disc). I get that out of the way to concentrate on the 3 Cello Suites, which I haven't yet heard, but which loom large as something solo cello enthusiats can't readily ignore. Some people swear by them, but I can't vouch for their profundity (and, they don't seem to have too much heft to them, time wise (yes, I know, but...)). Availability is also a factor here (or price). Anyone with an opinion? There are sets by the Portland/Arabesque, ProArte/Laurel, Lane/Hyperion, Musiques Schweiz (?) Kocian/?, label, and Orkis/Koch.. Also, there is a recording of No.1 with the Pithipudas, and, maybe another one out there somewhere. So, there is quite a field out there. I used to have the Pithipudas, and I believe I had the Koch/Orkis, but I don't know what happened to them. I just ordered the ProArte/Karp for $5, and yes, I am not expecting glorious sound. So, what say ye as to the Quintets? I assume you already love the music (and yes, I know No.2 is no great shakes). I suppose the Griller/Decca will be the first choice for 1-4. I will shortly order it, to be sure. For No.5, as stated above, we have the Portland and the ProArte. I also have No.3 by the NewWorldQuartet on Vox (another mind numbingly dry recording). ok,I get confused easily ::)! Anyhow, I'm tired now from writing, haha, and need a nap. I'll be back later. Hopefully someone has an interest in the subject. As I say above - I think the solo cello suites are just gold, but I know some people who don't like em. There's a fantastic recording by Emmanuelle Bertrand. I have to reassess. Most of the Bloch recordings I have are Hanson/Rochester Symphony, and after listening to them in Ives and other American conductors, I think it is a case of a third rate conductor in front of a fifth rate orchestra. This recording has turned me into a Bloch fan. I also have recordings of the piano quintets, but I think I will be looking for recordings of the symphonies (E-flat and c# minor) next. And yet those Bloch Concerti Grossi recordings are still among the best ever recorded. I can recommend the Jenny Lin recordings for those who find the Mercury sound a little too in your face. EDIT: I swear I've replied to Scarpia's post twice and it's show up like this as a reply to Guido. You're referring to Hanson? I love Mercury sound, don't like Hanson's job of it. Dalia Atlas is much more to my liking, and I have the Jenny Lin on order for the Concerto Symphonique. Trying to decide with symphony to try first, probably c# minor. Yes, I'd start with the C minor Symphony - it has a wonderful redemptive ending. The best version is on BIS. I was really sorry to miss a performance of it in London a while back under Dalia Atlas. Bloch's complete works for violin and piano, filler is the 2 suites for solo violin came on the low-price Arte Nova label (now OOP?). I'll have to hear it again, shelved but not remembered. I've managed to pick up both volumes of Hyperions recordings of these at rock bottom prices on the "Please buy me" offer; and very fine works they are. Have to reverse myself here. Dalia Atlas's recording on my started to grate on me, partly because of crudely done engineering from ASV (sounds like a primitive reverb effect has been added to the recordings). I've gone back to the old Hansen recording on Mercury and I find it much better in every respect. They're not the only ones - Vaughan Williams, Miaskovsky, Tubin, Holmboe, Diamond rank very high in my estimation too. This is a very small collection compared to some people on this thread, but I intend on exploring this composer's music, which means, of course, I will be getting more recordings after I digested my current collection. Try String Quartet No 1 too - like a symphony - terrific work. This was really an amazing recording. The music is by turns impressionistic, Stravinskian, and just so lyrically moving. I was going to listen to Geoffrey Simon/LSO's recording of "Sacred Service," but right now I'm listening to a disc of world premieres on Koch with James Sedares and the New Zealand Symphony Orchestra. Listening to "Three Jewish Poems" right now and this is a sizzling performance! What a great work! Yes, the Seadres CD on Koch is one of my favourites too (I told you that we have similar tastes :D). Yes, the Seadres CD on Koch is one of my favourites too (I told you that we have similar tastes :D ). We probably do have some similar tastes, but I'm heavily into Latin American classical music, so I'm not sure how much of this vast musical plain you've explored, but I listen to these composers more than any others right now, although Bloch and currently Piston are in heavy rotation as well. By the way, just listened to Geoffrey Simon's "Sacred Service" recording on Chandos. OUTSTANDING!!!! I love it! I'm listening to Atlas's performance of "Israel Symphony" right now and so far it's really good. Well, I like the music of Carlos Chavez very much, especially the Sinfonia de Antigona, which has a Havergal Brian type cragginess to it, which appeals to me. Geoffrey Simon's 'Sacred Service' is indeed the best and I have about 6 recordings of that work. It is usually compared adversely with Bernstein, but I prefer it. The other great performance of the Sacred Servis is by Bloch himself (Pearl and Jewish Music Archive). I had some email correspondence with Dalia Atlas (whom I don't know) about Bloch's Symphony in C., which is one of my favourite works by him. Her 'Israel Symphony' is indeed the best recorded performance, although I like the old Abravanel. Chavez is quite good. The first work I heard by him was "Sinfonia India (Symphony No. 2)" with Eduardo Mata at the podium. Remarkable performance and this led me to explore more of his music. One thing that attracted me to "Sinfonia India" was it's use of shifting tempi. I also love the use of percussion in this piece. Very interesting and nothing cliche about it. Getting back to Bloch, I ordered a recording with Sakari Oramo/Malmo Symphony Orch. on BIS performing "Violin Concerto," "Poems of the Sea," and "Suite Symphonique." This recording is out-of-print, but I look forward to hearing it. 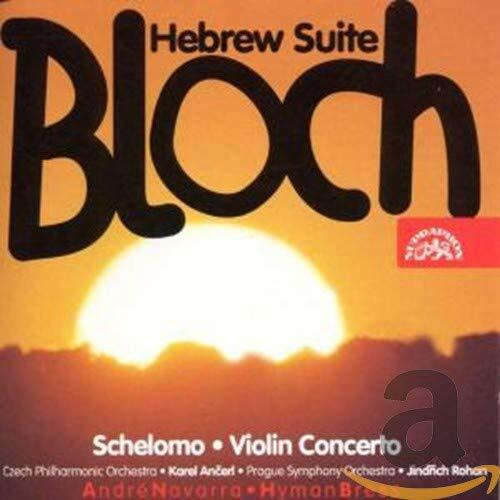 Right now, I'm just becoming more familiar with Bloch's music and I already own a very impressive collection, but in time I will expand it and start looking for comparitive recordings and so on. Anyway, thanks for your recommendation. I have seen that 2-CD set on Amazon for a good price. I might pick it up at some point. The BIS CD is very atmospheric - I'm sure you will enjoy it. Yes, I eagerly awaited the Griller's 2cd Decca ReMastering, and I couldn't wait. After all, I've been fantasizing about the sound, not to mention the performance (which I heard a clip of, and was summarily blown away). Well, well, well,... I started with No.2, since that was the one I wasn't familiar with (I have Portland 4&5, Portland No.1, and VoxBox No.3). Well, the performance sure is something, but,... puh-leeze??,... are you guys really raving about the sound here? I gotta be honest, I haven't experienced such lack of listening pleasure in quite a while. There seems to be a treble fierceness that really, almost immediately, gave me ear fatigue,... especially when you consider some of the music's innate hysterics. Each jab was just so brutal to listen to loud. Ouch. Talk about crystal clear. No one can back me up on this? So, I'm comparing with the Portland, and the Vox. As far as the opening of No.3, wow, the Vox and Griller are coming from two totally different places. I never liked No.3, and now I see it's because that Vox group (New World Quartet) just wasn't digging in from the first trill. The Griller surely have the measure of this music. Comparing with the Portland in No.4 isn't quite as bad, though the 3rd mvmt Presto shows up the Portland's lack of brutal bite. Ultimately, though, the listening pleasure of the Griller's recording makes me want to listen to the, admittedly, inferior Portland (though, they're really ok). I'm listening to the Griller No.1 now, and, though the performance is really biting here in the Finale, the fatigue of listening to such intense music in such an upfront, trebly recording, really is making me just want to scrap the whole Bloch/SQ thing. Seriously. Maybe the FineArts will record for Naxos? As far as the music itself goes, I can sure seem to figure out where Shosty came from, haha. However, Bloch's "desert declamation/wisdom/suffering" music leaves me in a middle ground. The same Oriental spirit that I like in it is the same thing that I can sometimes get a little too much of. The hectoring tone, especially brought out in the Griller set, gets a bit much with me. It's like listening to a half hour of Shosty 8's most brutal moments. Thanks Be that Bloch wasn't a minimalist! Decca sound of that period could be pretty fierce. "the Portland Quartet’s recordings on Arabesque are hopelessly inadequate and should be avoided"
"Although Laurel’s releases of Quartets 1 and 2 boast superior sound quality, their recordings of Quartets 3 and 4—from the early digital era—do not sound all that great. In fact, they suffer from much the same shrillness and stridency that characterizes Decca’s Griller recordings. Furthermore, while the Pro Arte performances may be more precise technically, the Griller performances often seem to “go for broke,” at times sacrificing technical precision for sheer emotional intensity. Their performances generally seem to display a fuller, more whole-hearted understanding of the expressive content of these two later works." Well, that answered my next two questions, haha! What Bloch orchestral piece most identifies with the mystical qualities of the VS 2 and P5Q 2?... the most awe inspiring Bloch?... not necessarily as much 'Hebrew' as 'transcendental' (certainly those chamber works above)? I really like his works for violin and orchestra, but works like Sacred Service and Evocations really standout as well. Pulled out the ol' Isaac Stern/Alex Zakin LP of the first violin sonata. A driving work! Muscular, with fists full of notes, like boulders,... I just pulled out No.2, the mystical one,... I need to do a No.1 soon! I really love Bloch's music. I've been revisiting some of it lately (two orchestral recordings on Capriccio with Steven Sloane conducting). I'm about to dig into the newer recording on Hyperion with Volkov and cellist Natalie Clein. But I think I'll save that recording for earlier in the weekend --- maybe a first-listen Monday kind of thing. One work that I find immediately attractive is the Impressionistic Hiver-Printemps. This is such a gorgeous work. I have a few performances of it, but Sloane's on Capriccio is the finest I've heard. I'd really love CPO to do a whole orchestral series of Bloch. That would be awesome. Maybe get Alun Francis to conduct the series. This looks like an extremely interesting release. I especially like Bloch's early Symphony in C sharp minor, with its echoes of Respighi, Richard Strauss and Wagner, but with elements of the mature Bloch style breaking through, not least in the lowering conclusion, reminiscent (to me) of the ending of Harold Truscott's fine Symphony and also Maximilian Steinberg's Second Symphony. I was sorry to miss Dalia Atlas's performance of the Bloch Symphony in London a few years ago. Chavez No 1 reminds me of Brian. Title: Re: Ernest Bloch (1880-1959) ???????????????????????????? Anyhow, out of the "Craggists", Bloch has always been favourable... but, I have avoided loads of his music... lots of "phases"... where to go first?... mostly I know the SQs and the Quintets and such. Or maybe Chavez reminds you of Brian?!! Do you mean the herb?! I remember my father telling me some years ago now,that they'd found a box of Gingko Biloba dumped in the street. He claimed that they'd used the contents of the box to no apparent benefit. He's still alive though at 84. My mother isn't. I would have thought she would have been the one who used it? She was always taking all these wierds things they tell you live to a great age. My father drank and sat in front of the tv!! She had the best memory though. If he did take them,maybe I should buy him some more?!! I've added some Bloch recommendations to my post above. Incidentally,why is it,the only thing I ever find dumped in a street are empty fast food containers,beer cans,fag butts,pools of vomit,dog t***s,chewing gum and drunks?!! Thanks for reminding me I need to find more time for Bloch. The PQs are brilliant. A staple of my modest collection. Inspired by this thread, I just listened to the piano version of Poems of the Sea and really enjoyed it, exactly my cup of drama. Kind of tempting. The Bloch chamber music I know is quite moving. I'll try to sample this one. 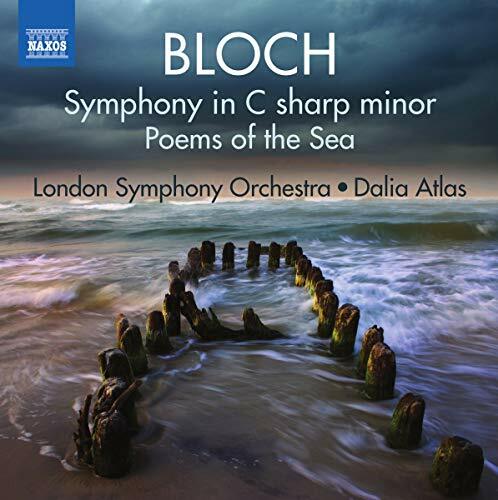 Brilliant, after listening to the Poems of the Sea, I immediately thought about seeking some of Bloch's solo piano music, which I'm not familiar with. Pefectly timed tip, appreciated! I was hooked since the first notes of the first PQ, one of the 'coolest' classical openings I know. My pleasure. :) Let us know what you think if you get 'Visions and Prophecies'. I like that 'Old Testament prophet' aspect of Bloch's music and very much agree about the epic Piano Quintet 1. I don't listen to that much chamber music but Bloch, Shostakovich and Vaughan Williams (although he didn't write that much) are exceptions. Could you help me decide which version to get ? There is this disc on amazon.fr, with good reviews. Its not on Amazon.com, but its also on amazon.co.uk, with also a very warm review. There is also a Karp-Pro Arte disc which seems to be OOP but maybe availiable as download. Not sure if this is addressed to me but the Hyperion CD is excellent but you wouldn't be disappointed with the other one either. I'd go for the cheapest/most available version. Thanks, you are always helpful. Does anybody know his "MacBeth". Seems like an interesting work. No, I need to investigate this too. I've heard some orchestral music from it which I enjoyed but I tend to like Bloch's music generally. I'm listening to the opening of ProArte/Karp No.1. My first impression is I should be able to get better sound somewhere... anywhere. It's obviously recorded in one of those hilarious air-tight studios- what were audio-engineers thinking back in the day? Otherwise, the playing seems fine; the mix isn't ideal, either. And there's the Arabesque Cycle... I forget how they are... except there's 1/8 of a second between Tracks. I think they are somewhat up-front. Oy- yea, I'm not particularly able to restrain criticism of the ProArte/Karp. I'm not sure the strings are properly handling all notes in an idiomatic manner. Bloch works when it's a bit smudgy. Do not hesitate to get the Goldner's disc of the Piano Quintets. Sublime music making. My copy of the Kocian disc had some kind of loud digital blip in the 2nd Quintet. I don't know if they fixed this in subsequent pressings. I've expressed my admiration for Bloch's Piano Quintet no. 1 in other threads but I'll do so again here. It's a magnificent work that traverses a troubled landscape - sometimes angry, sometimes lyrical, sometimes mysterious - and comes to rest in an incredibly moving bendecitory ending. C major has rarely felt so cathartic. I also love Bloch's Concerto Grosso no. 1, a really energetic, tuneful work. Bloch, like Stravinsky, was a composer who was able to compose equally well throughout all the different stylistic phases of his career. + 2. Both are among my favourite Bloch works :). I have those discs too as well as an older Vanguard recording. Bloch's Piano quintets and SQ No.1 are very fine in my opinion. I've been greatly enjoying the epic Concerto Symphonique in the Micah Yui/David Amos/LSO version posted by Andre above. 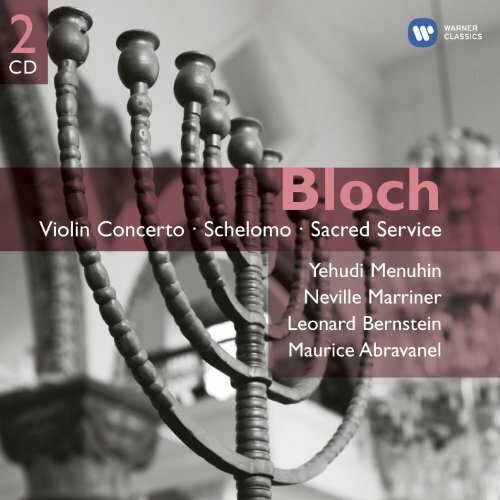 This was the first recording (for 27 years) since the old one on Vanguard which, I notice, has been reissued along with Abravanel's Utah version of the 'Israel Symphony' - two of Bloch's greatest works IMHO on one CD in historic recordings. PS I just read that the sound quality is much better on the old Vanguards of Israel Symph/Concerto Symphonique so maybe better to stick with them! The Laurel Record CD of Concerto Symphonique, however, is excellent in all respects with interesting couplings. I've never warmed to the Concerto Symphonique. Agree about the somewhat Romantic String Quartet No. 1. It's nearly an hour long, but so full of diverting music that the time rushes by. There was a nearly 30 year gap between String Quartet No. 1 and String Quartet No. 2, which is more the Bloch we know from the String Quintets. The CS has a kind of Hollyood epic film score aspect to it but I find the themes memorable and am always gripped by it. The Piano Quintet No.1 is another favourite. Navarra/Ancerl give a classic performance of 'Schelomo'. Is there a more epic and stunning first symphony than this one? Walton and Langaard are other superb examples, but at the moment I'm enjoying the thoroughly glorious Bloch, what a boisterous tour de force this is! And magical moments aplenty, music highly suggestive, lush and sumptuous, featuring some of the most cataclysmic climaxes in the music literature. I love this, the terrific blend between Strauss, Mahler and Respighi (mostly) and the Bloch's emergent voice is just astounding, a desert-island work for sure. I tend to prefer this version to that of Naxos, though. The redemptive ending of that symphony is one of my favourites - I find it very moving. I wonder if you know Harold Truscott's Symphony Cesar? It ends in a similar way, although perhaps with a greater level of 'glowering darkness' rather than redemption. If you don't know it you might like it. Truscott's Symphony? Don't really, but I'll investigate it if you say that has a moving ending. I enjoy the whole Symphony Cesar. In some ways I think that it is not dissimilar to the Bloch symphony.